The ZQuiet, like the SnoreRX, holds your jaw slightly forward to keep your airway open. 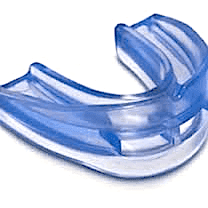 Each device belongs to a standard line of anti-snoring devices known as MADs (mandibular advancement device). My wife and I tried both. Personally I prefer ZQuiet, but my wife found that she had slightly better results with the SnoreRX (due to her small mouth size). My wife had a slight fitting issue with the ZQuiet the first night but I was able to resolve it the next morning by following directions provided by the company and trimming it with scissors. 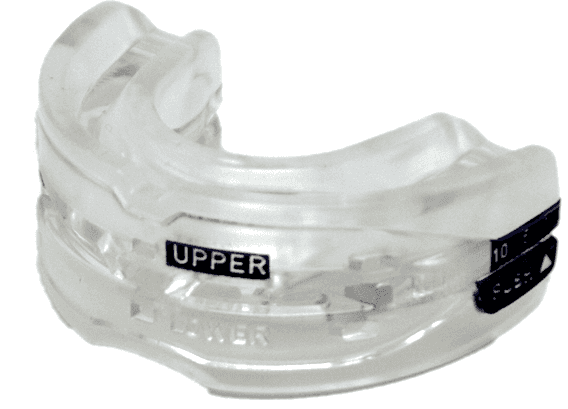 We had no fitting issues with the SnoreRX as the Flex Jaw let us customize the fit before wearing it. The ZQuiet feels very comfortable in your mouth due to the soft, flexible construction. The device allows your mouth to remain slightly open so you can wear it if you are a mouth breather. The loose fit surprised us. We expected the ZQuiet to slip out of our mouths during the night, a problem reported by some users. However, that never happened to us. Cleaning was easy with a toothbrush and soap. ZQuiet provides everyone with two mouthpieces for the $79.95 price that vary in how far they advance your jaw. You simply slip one or the other in your mouth to determine which size is best for you. I had to trim my wife’s slightly with scissors for it to fit properly. My wife snored softly the first night though she reported no sounds coming out of me. My jaw was a bit sore but after the second night that went away. After the two week trial, we both felt very comfortable with the ZQuiet. The construction even allows you to talk normally while wearing it. People with a deviated septum or who have a cold will like the ZQuiet too as it lets you breathe through your mouth while still keeping your air passage clear. Cleaning took almost no time. The one-piece, soft construction cleaned up easily with a toothbrush and a little dish soap. ZQuiet now ranks amongst my best anti-snoring devices. The odd shape of the SnoreRX made my wife and I a bit concerned about wearing it. The concerns were misplaced. The look comes from the technology associated with the Flex Jaw adjustment piece that is integral to the SnoreRX. The boil and bite and Flex Jaw provide a very comfortable fit compared to many other MADs. There are ten settings, 1 mm apart that makes it feel as though you had it custom-made. Cleaning requires more than just dropping it in a glass of warm water with a cleaning tablet. You will need to scrub some of the parts that have crevices and crannies in order to ensure you remove all bacteria. My wife and I took some time to carefully read the instructions before attempting to fit it into our mouths. We used the boil and bite method, then put them in our mouths and adjusted the fit with the Flex Jaw. It took a second adjustment for me after the first night as I had a little soreness in my jaw when I awoke. The second adjustment worked as the soreness disappeared the second morning. We both slept soundly and awoke refreshed. When I woke up in the middle of the night to put out the dog, I noticed my wife made no sound at all. My son, who always stays up later than we do, said he could not hear either of us snoring. Cleaning was a bit of a challenge but nothing too onerous. We had to scrub the crevices first before dropping them into warm water with a denture cleaning tablet. My wife and I agreed that the ZQuiet required the least amount of work and was the most comfortable. However, my wife was a bit disappointed that the ZQuiet did not completely stop her snoring. Use the ZQuiet coupon when ordering. The SnoreRX, once you fit it correctly to your mouth, kept both of us from snoring. Cleaning the SnoreRX takes longer than cleaning the ZQuiet does but after a while, we got used to it. Use the snorerx coupon when ordering. Note: The ZQuiet trial has a $9.95 special, including free shipping that allows you to use it for 30 days and if not satisfied you can return it and not be charged the full $79.95 price.